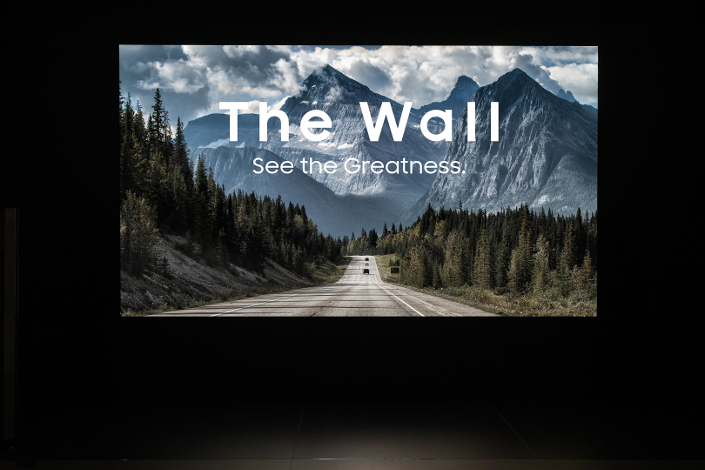 Samsung today announced at InfoComm 2018 the introduction of The Wall Professional – a modular, MicroLED display that can extend to hundreds of inches in size while delivering impressive black color, brightness, and contrast in any commercial setting. 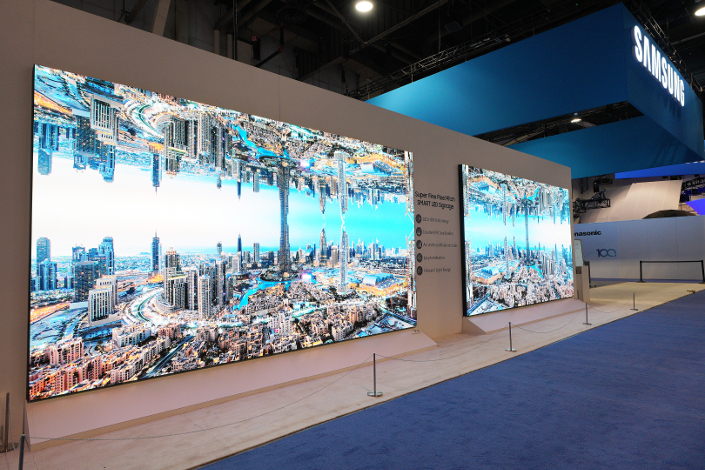 InfoComm 2018 attendees are invited to “See the Greatness” of The Wall as well as other display products and digital signage solutions at the Samsung booth (#C3127). Pre-orders of The Wall are now available from Samsung with the first orders shipping in the third quarter of 2018. Great Color – True detail comes from true colors. The Wall’s inherent color qualities, with two times superior color purity and a wider color gamut than conventional LEDs, produce vibrant-yet-natural colors for an awe-inspiring visual experience. Great Refinement – Cutting-edge innovation is the fruition of refinement. The Wall’s industry-leading picture quality engine—advanced HDR picture refinement, HDR10+ and more—possesses an intuitive capability to render optimum peak brightness and an extremely accurate grayscale expression for true-to-life imagery. The MagicINFO 6 is Samsung’s latest content management platform that allows businesses in any environment to conveniently create, schedule and deploy content across their entire digital signage network. The platform is powered by the TIZEN 4.0 operating system which offers the seamless remote ability for both software and hardware and supports remote management, enabling content teams to update message designs and schedules from any location at any time. The MagicINFO 6 is the industry`s best platform to support the hardware device with health checks for error detection and troubleshooting. It is compatible with all of Samsung’s signage based on the TIZEN 4.0 OS including The Wall Professional, the new QMN and QBN Series Intelligent UHD displays, and the IF Series LED Signage. InfoComm 2018 attendees will also be the first to see Samsung’s Dual Sided Outdoor Signage display (Model OH85N-D). Backed by the TIZEN 4.0 OS, and available in an 85-inch display, the Dual Sided Outdoor Signage will be available for spaces such as bus-stop shelters and street benches. With advertising content showcased on both sides of the display, the signage is expected to maximize advertising revenue for featured businesses. Also based on the TIZEN 4.0 OS, Samsung’s new QMN Series (500nit brightness) and QBN Series (350nit brightness) Intelligent UHD displays achieve crisper and clearer content for users seeking a more powerful and versatile experience. The displays’ intelligent engine automatically upgrades FHD content from any source to sharper, clearer UHD quality, improving the viewing experience instantaneously and without extensive manual input. The global launch of the Intelligent UHD Signage, including North America, will be this June. Samsung will also showcase its fine pixel pitch IF Series LED Signage (P1.2 model), which will be available in the United States in June this year. These cutting-edge displays combine Samsung’s leading video processing technologies with HDR picture refinement to add clarity and sophistication to featured content—all with a compact, easy-to-maintain design. This includes specialized scene-by-scene adaptation technology that optimizes gradation and brightness levels within each individual content frame, to produce the most detailed and realistic picture possible.